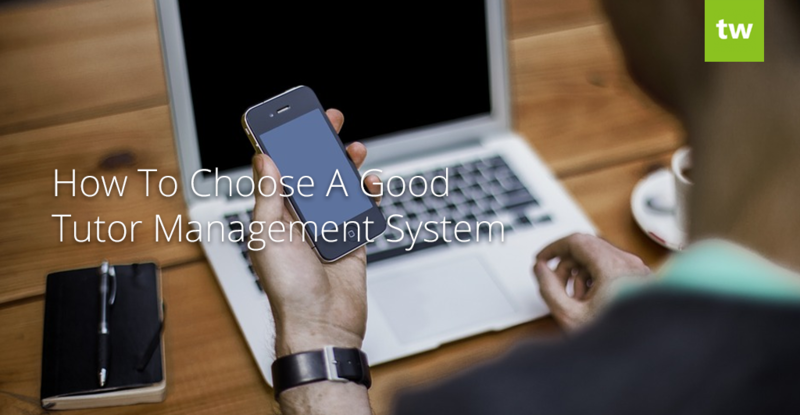 Are you in need of a good tutor management system to help you get more organized? There are several options available, and it can be daunting to choose the best fit for your business needs. Here are a few general things to keep in mind when searching for software. Creating a checklist of your business needs will help you focus on the aspects that really matter when choosing software. It will ensure that you don’t get lured by flashy, unnecessary features. Based on the features you need for your business, it is beneficial to look into all the possible alternatives to see which fits your needs. Custom software can have quite expensive upfront costs, but if your business needs are quite unique this could be the best solution. There are also other software alternatives such as booking software that can be used by education companies that do not require many features. Another option is the use of a common software specifically designed for education companies, software such as Teachworks that were specifically designed to meet the needs of education businesses. Teachworks and other competitors offer options to manage education businesses fast and efficiently. 3. Is there a free trial? You need hands-on experience with a tutor management system to know whether or not it is a viable option for your Education Business. Be wary of software that requires up-front payment and instead opt for software that offers a try-before-you-buy option. Teachworks offers users a free 3-week trial with full functionality so when you sign up, you know exactly what you’re going to get. When assessing a tutor management system, it is important to pay attention to how intuitive it is. Knowing what to do next should be logical and obvious to users of all skill levels. At Teachworks we believe in simplicity, which is why our interface can be as complicated or simplistic as you like. Avoid the clutter by only enabling the add-ons relevant to your business. Look for a tutor management system that offers good value for money. Does the cost justify the amount of features available to you? Teachworks caters for businesses of all shapes and sizes by allowing them to pay based on the amount of lessons they plan to schedule each month. You can upgrade or downgrade at any time, ensuring that you don’t pay more than you should. Visit our pricing page to find the best deal for your tutoring business. Mobile devices are preferred by many because of the convenience it offers. It is therefore essential to add mobile-friendliness to your checklist. Mobile-friendly software will allow you and your teachers to work more efficiently from just about anywhere. Look for tutor management software that allows you to give your clients user access. If they are unsure about billing or upcoming lessons, or they simply want to request more lessons, they can do so effortlessly right on their mobile phones. Teachworks is mobile-friendly to ensure that admins, teachers, parents and students can have unrestricted access to their information wherever they are. 7. What do others say? Reading up on the features of tutor management software is a necessary step and it will give you a good idea of how viable the software if for your business. It’s also a good idea to read reviews of the company and software from other users. These people or companies are in the same industry as you are, and their thoughts of the software will give you some great insights. Visit the Teachworks Testimonial page to see what others think about the software. 8. Do you have access to resources? The best way to learn how software works is to play around with it. Occasionally however, something might be unclear. A knowledge base or helpdesk with loads of information on how to use and make the most of various features is ideal for this situation. Scour the company’s website to see if they have great resources that you can use, should you get stuck. Teachworks has a range of tutorials as well as an extensive knowledge base. We also offer online support. Finding the right software to manage your education business might be a bit overwhelming at first, but creating a checklist with your business requirements will help you to narrow your search. Sign up for trials and identify potential software limitations before signing up for a paid subscription.